Here’s the Washington Nationals lineup for tonight’s game against the Atlanta Braves. 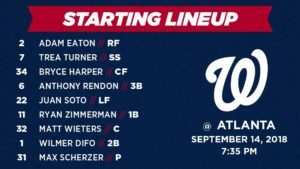 The Nationals send their best to the mound, Max Scherzer (17-6, 2.31 ERA), to face the first place Braves in Atlanta tonight. In 27 innings against the Braves this season, Scherzer has a 2-1 record with a 1.67 ERA and 30 strikeouts. Kevin Gausman (9-10, 3.89 ERA) gets the start for Atlanta. In his seven starts with the Braves this season, Gausman has posted a 2.32 ERA. 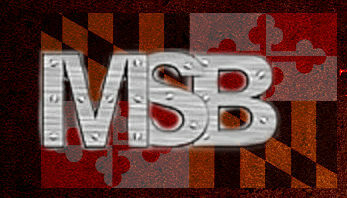 Next story Close but no Cigar, Why Maryland Men’s Soccer struggles to score goals?